Mysterious Perplexing Ancient Wall! - Ancient Explorers Mysterious Perplexing Ancient Wall! Reported for the first time in 1948 by Sir Alec Kirkbride, a British diplomat in Jordan, and recorded in the Journal Antiquity, the origin behind the enigmatic wall extending over 150km in Jordan has left archaeologists with a number of questions they are not able to answer. The sheer size of the ancient wall suggests it had to be an extremely complicated project, one that was not achieved easily. Today, numerous questions remain unanswered. Who built the ancient wall? What was its purpose? And when was it built? All of these questions remain a profound enigma for researchers who remain perplexed by the size of this ancient wall. With the aid of Aerial Photography, researchers from the Aerial Archaeology of Jordan (AAJ) project have been analyzing the remains of the wall. So far, they have learned that the enigmatic wall runs north-northeast to south-southwest over a distance of 106 kilometers. Archaeologists have identified sections where the wall is made up of a double structure running side by side, and other sections where the wall branches off. Locals have known about the existence of the extensive wall for years, however, no one has bothered to investigate it until now. 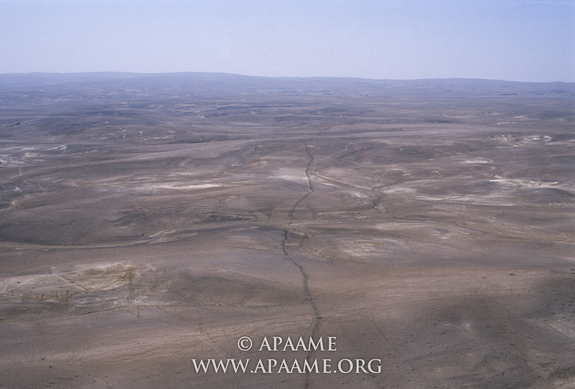 This is why the group of Researchers from the Aerial Archaeology in Jordan project decided to photograph and study the wall, in order to create a detailed map, which could help researchers understand its purpose. Today, the wall is in ruins. However, “even in its original state, it cannot have been much more than a meter [3.3 feet] high and perhaps half a meter [1.6 feet] wide,” wrote Kennedy and Banks. Interestingly, along the wall, researchers have come across the remains of around 100 ‘towers’ which measure from 2 up to 4 meters in diameter, and according to archaeologists, some of these walls were added in later stages of construction when the wall was already finished. Regrettably, we lack a lot of information about the ancient wall. According to pottery fragments discovered in the tower and other areas around the wall, professor Kennedy believes that the wall was most likely built sometime between the Nabataean period (312 B.C.–A.D. 106) and the Umayyad period (A.D. 661–750). Even more interesting is the fact that this enigmatic wall sits in a larger area where researchers have discovered several ‘giant wheels’ carved in the arid soil of the region. 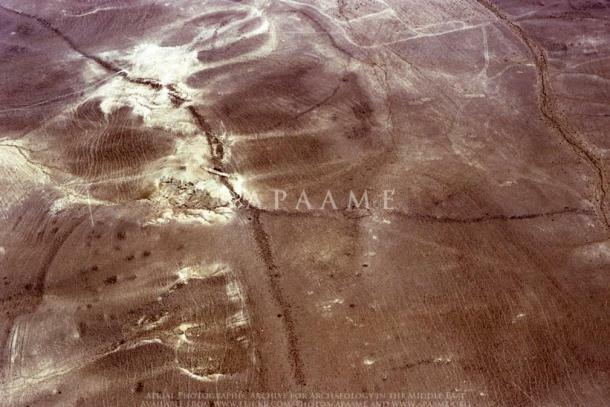 Referred to by many as ‘Works of old Men’, the enigmatic circles are believed to date back 8,500 years, which would suggest they are much older that the Nazca lines in Peru, by about 6000 years. Check out the image gallery courtesy of APAAME here.